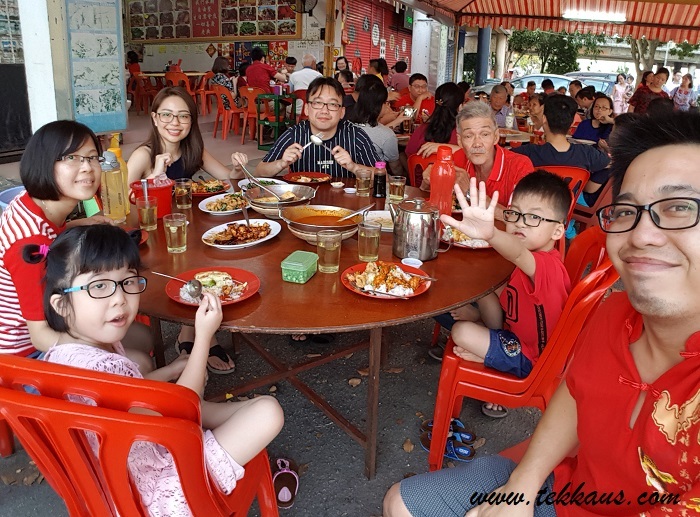 Usually we will cook during Chinese New Year eve for our scrumptious feast. 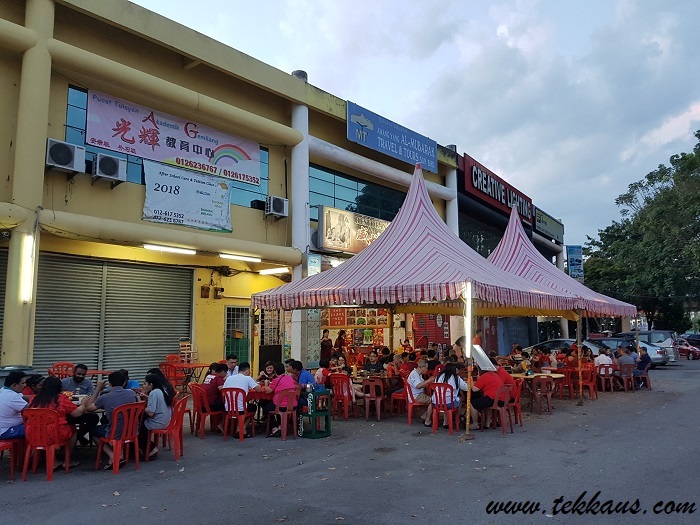 On the first day of Chinese New Year, some who opt not to cook will find it difficult to search for a Chinese restaurant which is still open for business. 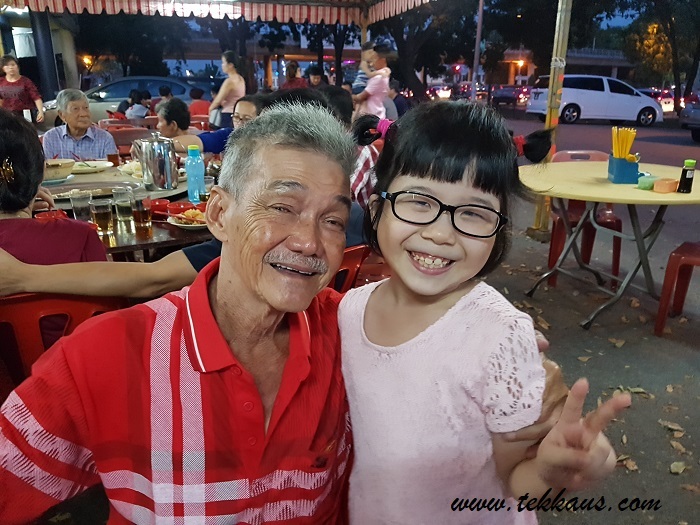 If you happen to be in Malacca and is looking for delicious family reunion dinner on the 1st of day of Chinese New Year, do head over to Wellen Restaurant 威龙茶餐室 in Cheng. My family has patronized this restaurant for the past 3 years and I personally recommend the food served here. They even set up extra tents to accommodate more customers. 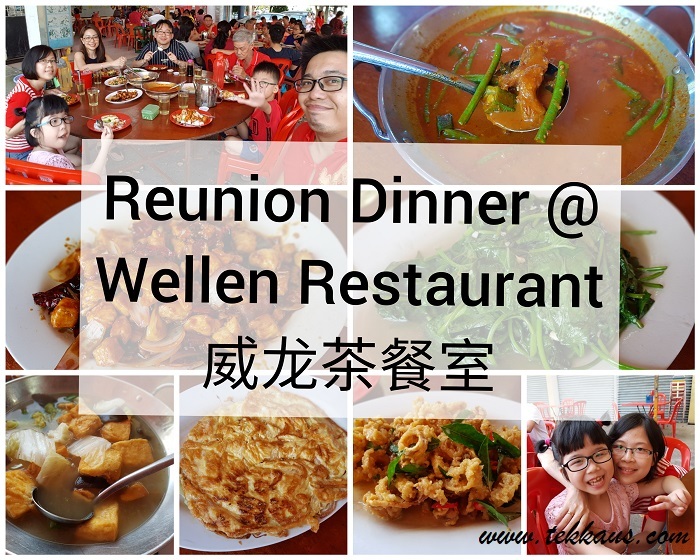 Unlike some Chinese restaurants which rely heavily on foreign workers to cook and serve their food, all the workers in this Wellen Restaurant are actually family members. Having said so, rest assured that the quality, authenticity and hygiene of the food will be much, much better than other Chinese restaurants. Then again, a lot of Chinese restaurants are closed during the first second or third day of Chinese New Year. Another good thing about this restaurant is that you can book or make reservation for your dinner a few days before your actual patronage. We called them up one week earlier and they took down our orders word-by-word. In other words, we do not need to reorder anything when we visit the restaurant. The advantage of calling in earlier is that they will prepare the ingredients that will be needed for your dishes beforehand. 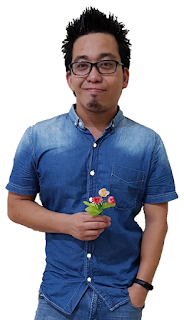 So when you arrive at the restaurant, with there mere mention of your name, food will be served in no time. 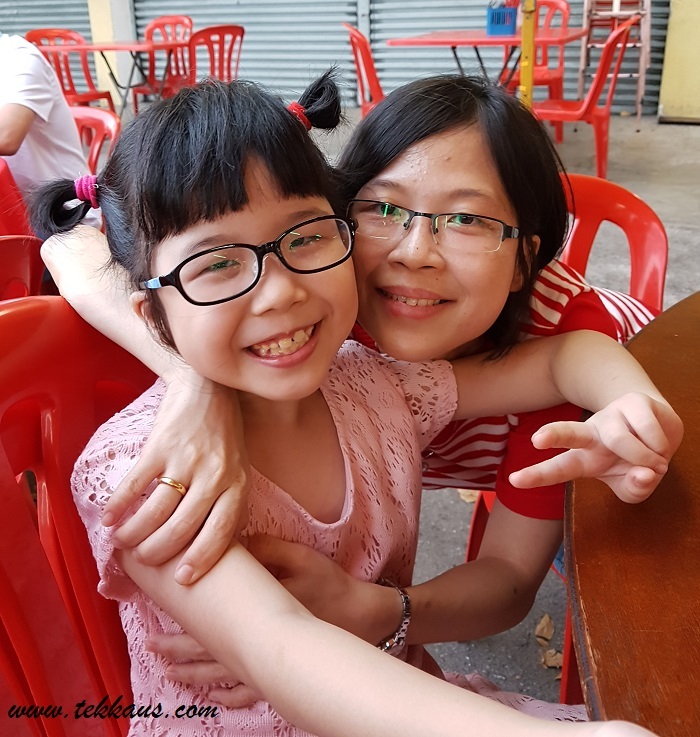 When we arrived at the restaurant, a few other families were already waiting patiently for their dinner. We informed the waitress that we had placed our order earlier, she nodded and off she left to attend to other customers. So we began to chit chat, thinking that it would take some time before we could start enjoying our dinner. After all there were so many tables with empty plates. Surprisingly, in around 5 minutes' time our first dish arrived on out table. It was our spicy curry fish. Talking about speed huh! Perhaps that is the benefit of booking earlier? 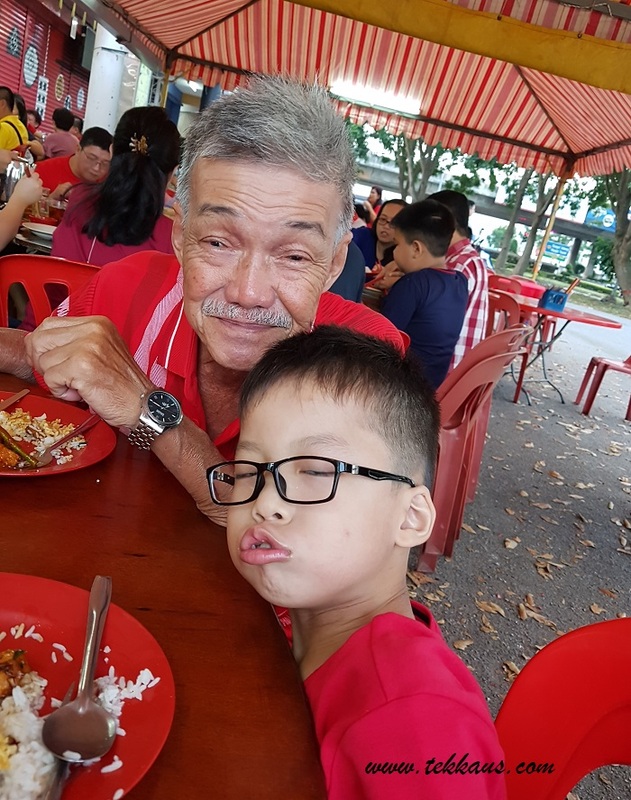 I thought the spicy curry fish was really ambrosial. It was not too spicy nor was it too creamy for our liking; Meaning that not too much coconut milk was added to prepare the dish. The fish fillet was succulent and the curry was really rich in flavour and not to mention very appetizing too. Thanks to this dish, we could shovel spoons or rice into our gaping mouths quite quickly. The next dish was kung pao chicken. Everything in this dish was impeccably cooked. The chicken cubes were tender while the mixture of dried chili, onions and the different sauces had truly made our mouth watered. We also had our usual stir-fried spinach with garlic, omelette and mixed vegetables tofu soup. 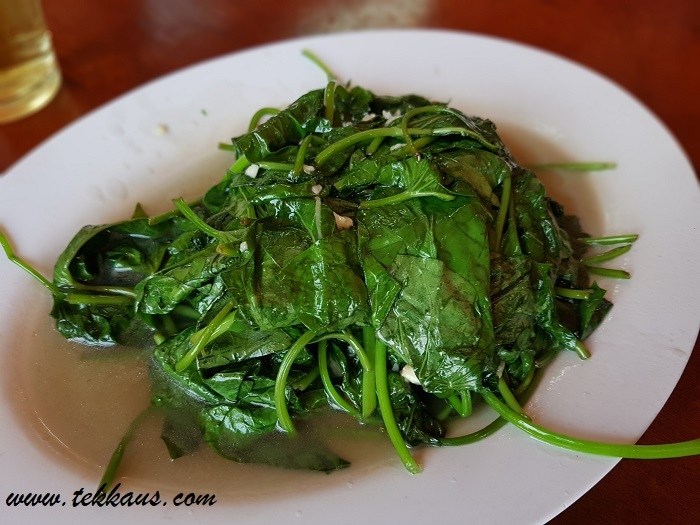 The spinach was flawlessly cooked as the whole dish was very soft and flavourful thanks to the addition of garlic. 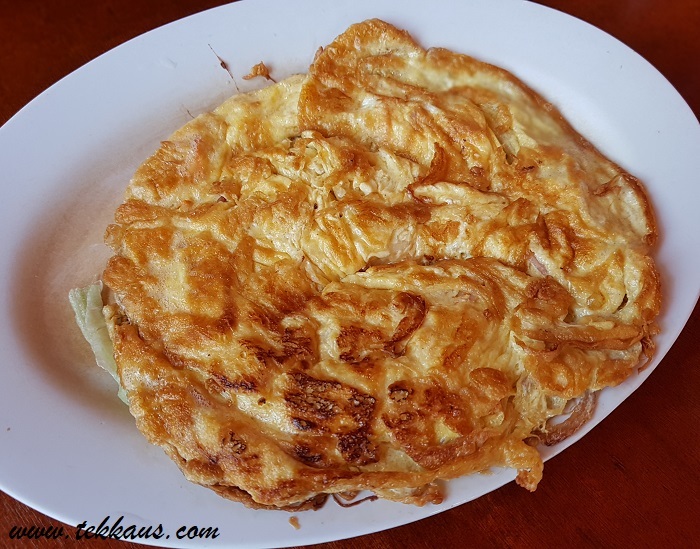 The omelette, though looked relatively normal was sizzled to perfection as the golden brown texture of the fragrant egg wrapped the other well-cooked ingredients inside of it. 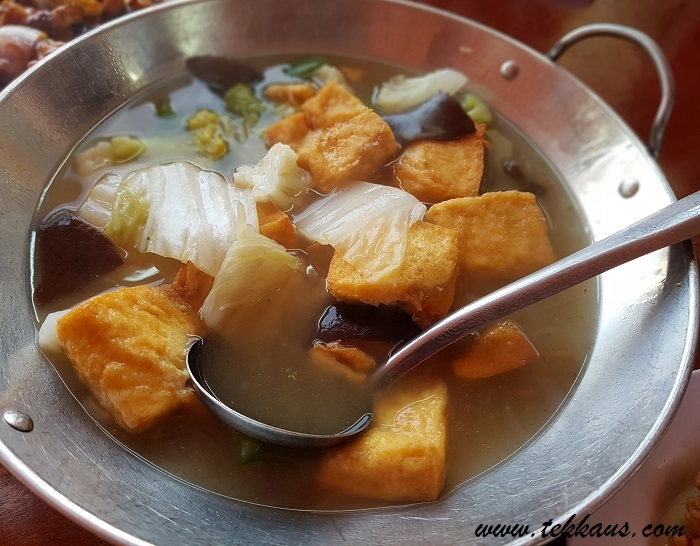 I like the mixed vegetables tofu soup as well. The broth was not too watery and the texture was really ideal to water down our throat-al dante! Last but not least, the star of our reunion dinner was the delectable salted egg fried calamari. OMG! This dish totally stole the limelight thanks to its gratifying burst of rich flavours. The golden salted egg coating the calamari really made it more savory. 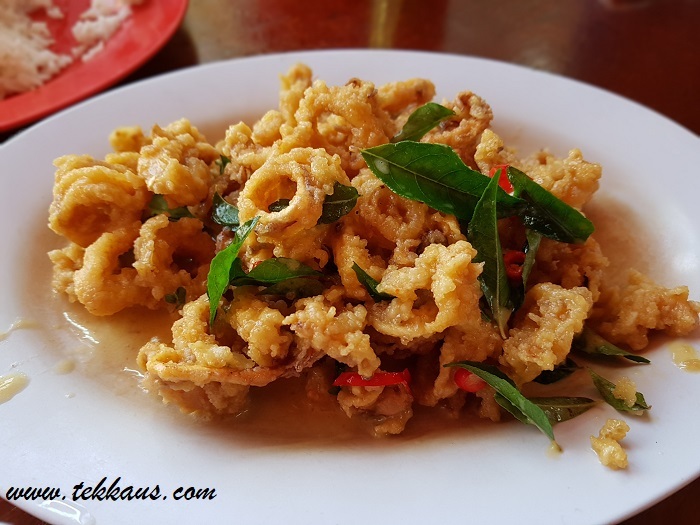 It was perfectly cooked as you will notice how crispy it was the moment you sink your teeth into these dainty "golden rings"; on the inside the calamari was very luscious as it was juicy and scrumptious. 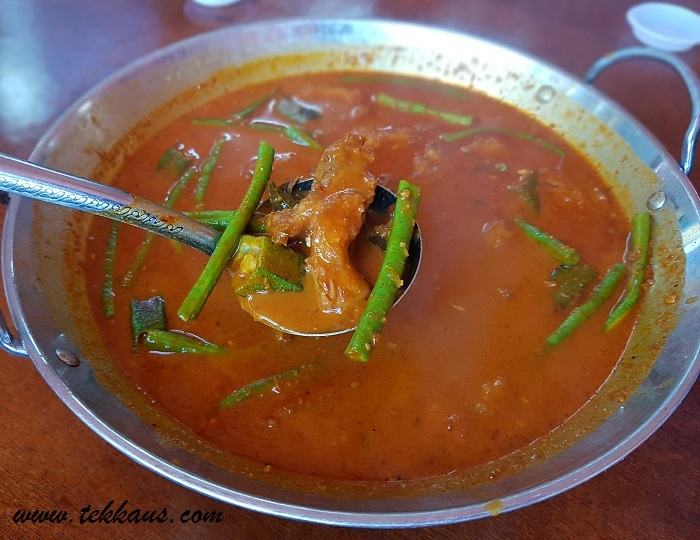 The added curry leaves and chopped chili totally elevated the taste of the whole dish. Fingers licking good I would say! 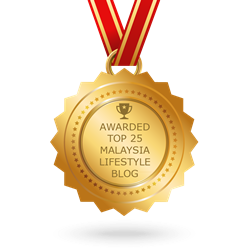 Address: 9, Jalan Bertam Jaya 9B, Taman Bertam Jaya, 76450 Melaka.